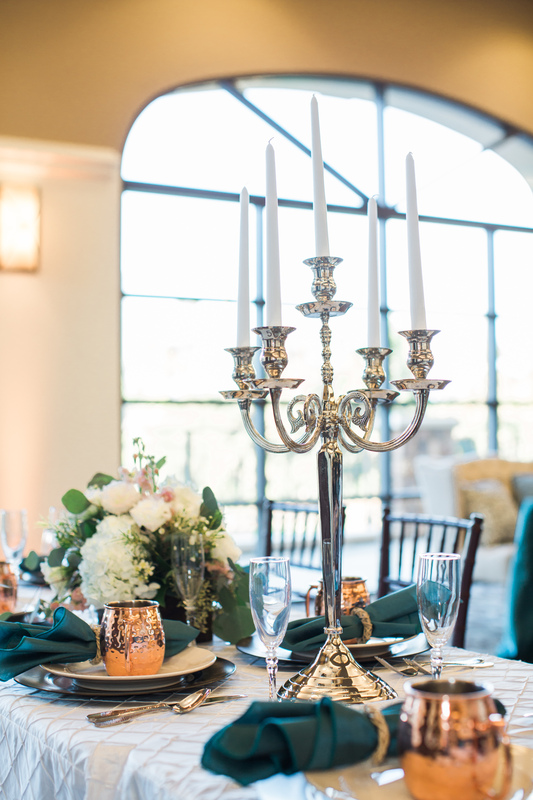 This shoot in The Sunset Ballroom at The Los Robles Greens in Thousand Oaks was so much fun to be a part of! 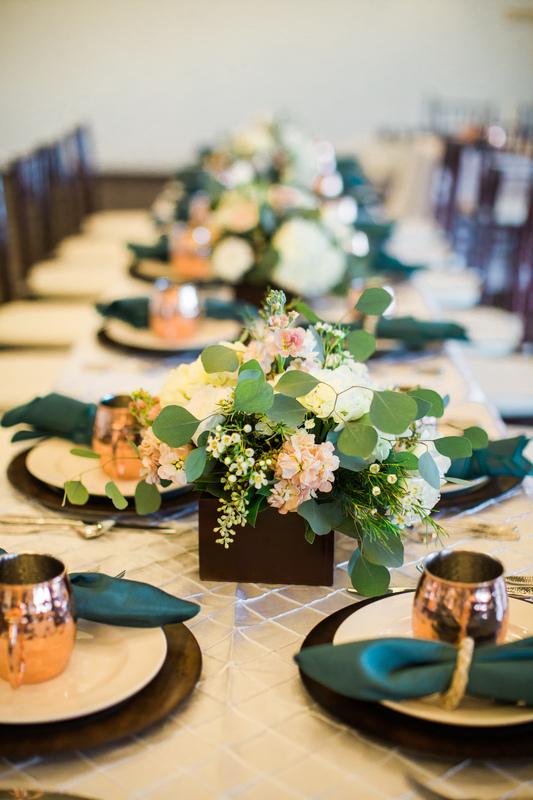 First of all, I should probably just put it out there that I’m mildly obsessed with Moscow Mules. 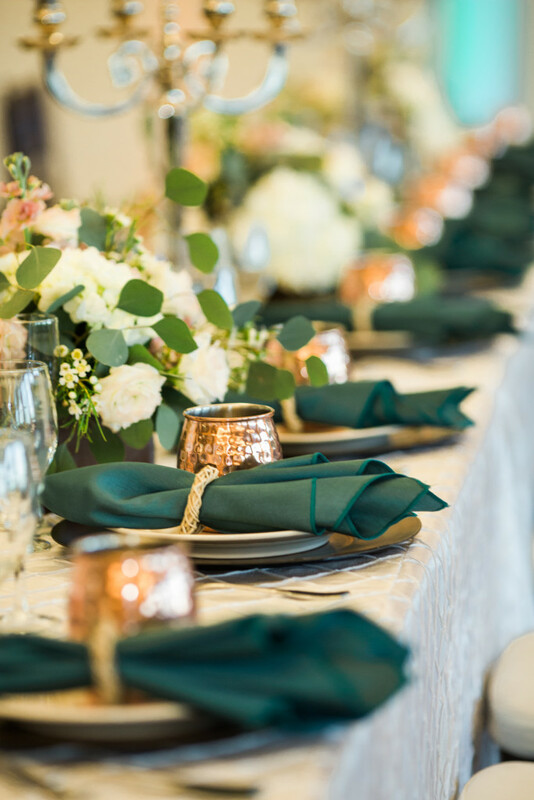 Not only are they my favorite tasting cocktail, but I think the mugs are just too pretty. Crazy… I know! 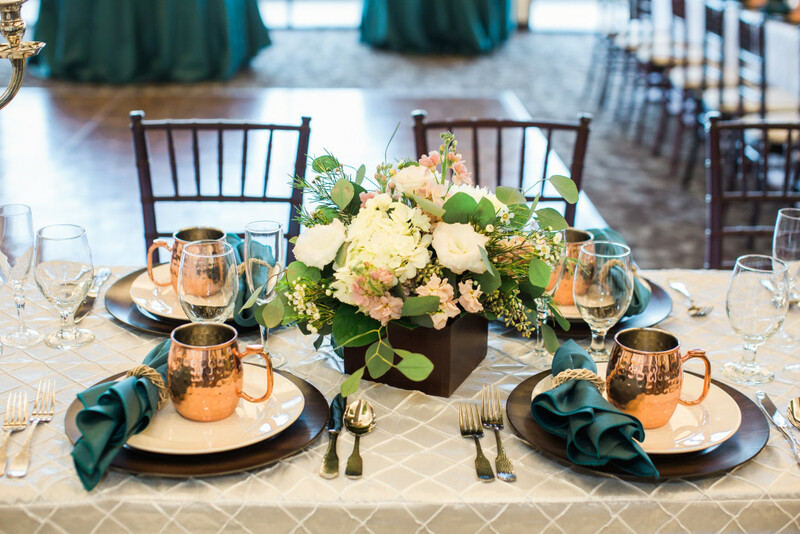 So you better believe that when we have a chance to design a fun look for a reception, we’re going to include Moscow Mule Mugs when we can! 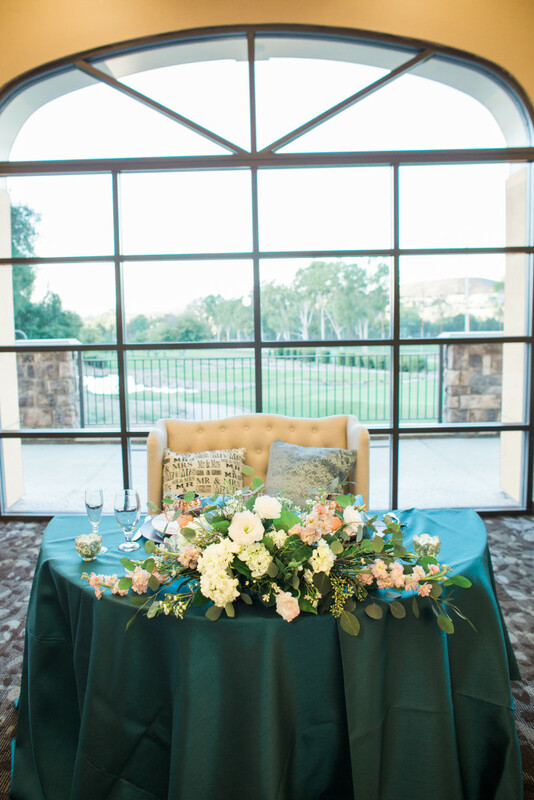 We partnered with several awesome local Ventura County vendors to pull together this look. Amigo Party Rentals has some beautiful inventory, and we couldn’t wait to showcase some of their items for this shoot. 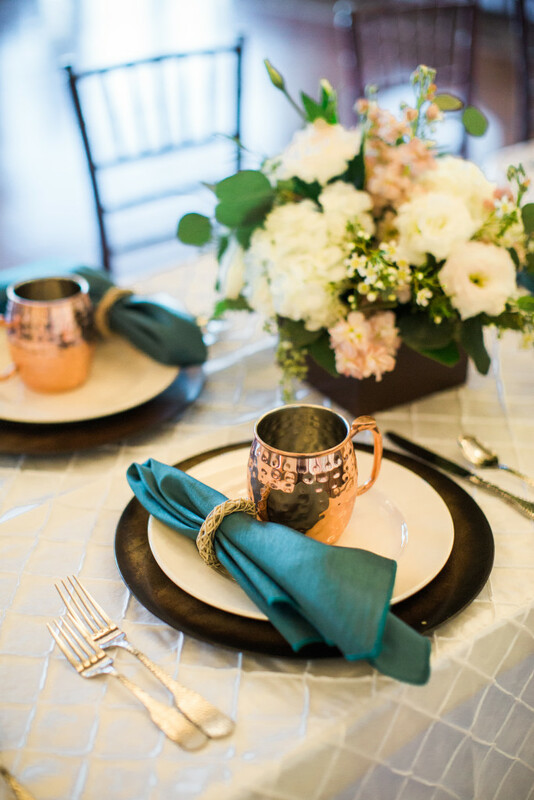 When I visited their showroom and saw the Mule Mugs, we knew they were going to be a key element in the design. 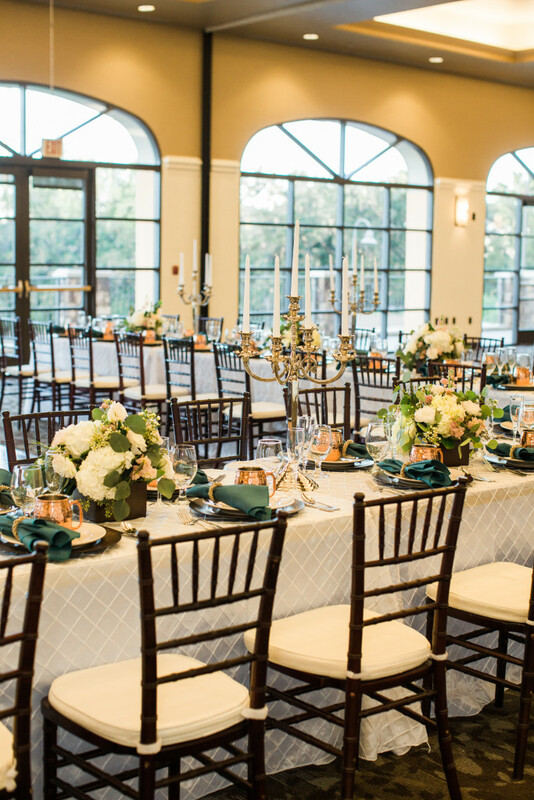 We ultimately put together a look with mixed metals and textures, and we think it turned out amazing! 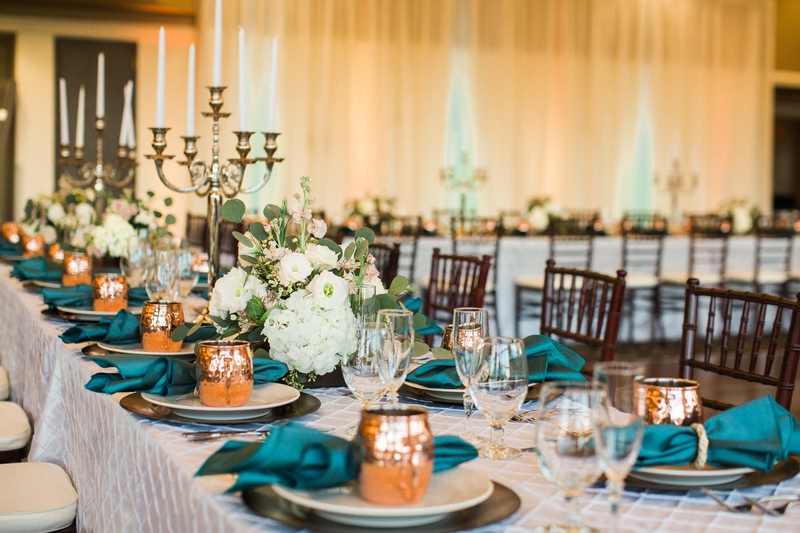 We love how the pewter candelabras, copper mugs, faux wood chargers and matching floral boxes, along with the lightly textured white linens and florals all came together. 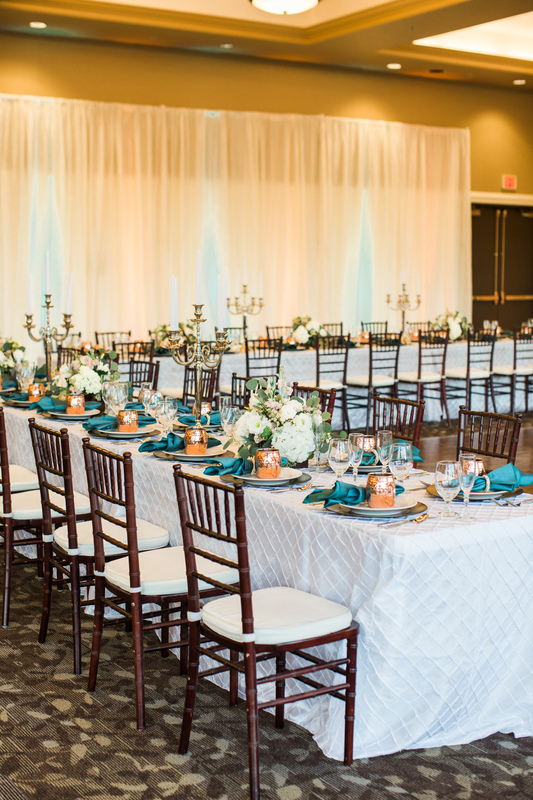 The peacock napkins and accent linens also brought in just enough color to make the look “pop”. 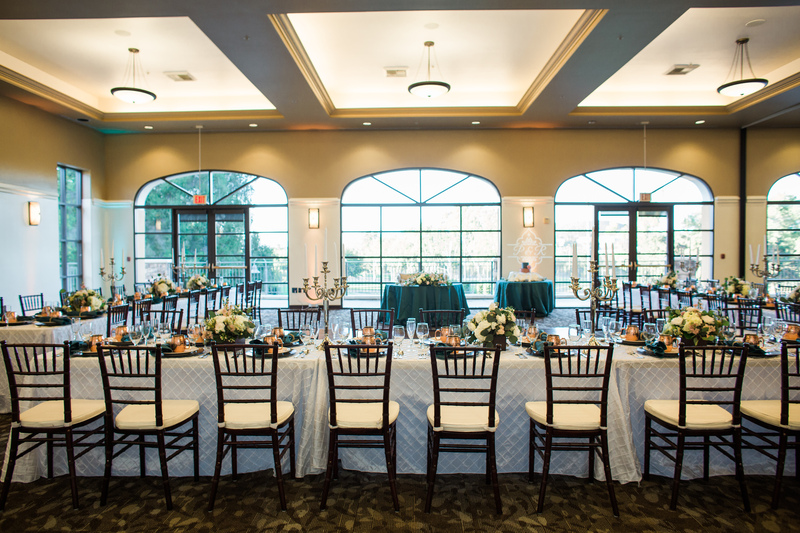 We love the Sunset Ballroom at The Los Robles Greens, especially the entire wall of windows! 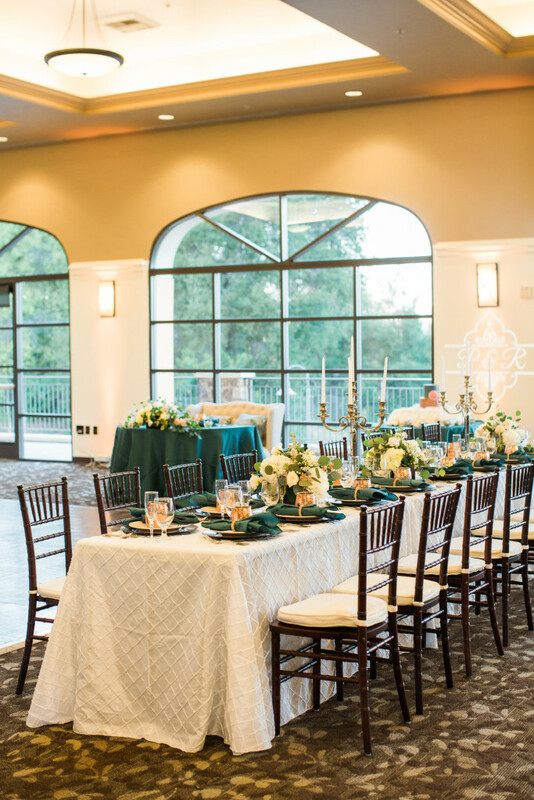 An enclosed ballroom can feel a bit confined, but the Windows at the Gardens lend a beautiful open atmosphere, with a gorgeous view of the Greens! 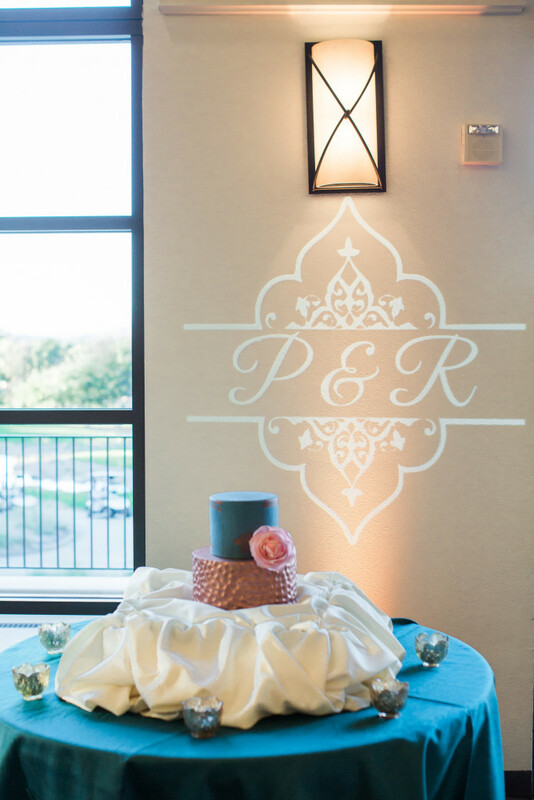 We completed the draping the opposite wall, incorporating some soft peacock up-lighting and a custom monogram light behind that cake. We really feel that custom lighting can make a huge difference in the feel of a wedding, especially in a ballroom. Check out the photos below for some ballroom inspiration, and see the complete vendor list below!